RIO DE JANEIRO, October 29. /TASS/. 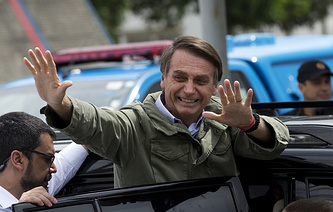 Brazil could take part in a military operation against the Venezuelan government after far-right candidate Jair Bolsonaro assumes office as president of the South American country, Brazilian experts questioned by TASS said on Monday. "It seems to me that it’s difficult to carry out [Brazil’s military incursion of Venezuela], this would be an absolutely irrational and wrong strategy. But this is possible given the future government’s composition. This may not be ruled out because [US President Donald] Trump has announced about this possibility several times. And if the Brazilian government wants to follow the lead of Washington, this is highly likely," lecturer at the Federal University of Rio Grande do Sul and expert at the Valdai International Discussion Club Fabiano Mielnichuk said. In July, US media reports said that Trump’s administration officials had secretly met with rebel military officers from Venezuela to discuss plans of toppling President Nicolas Maduro. According to the sources, these contacts began back in autumn 2017 and continued this year. 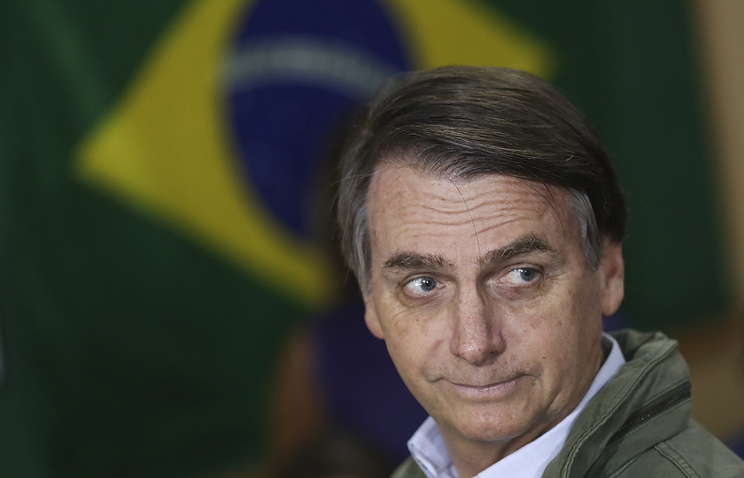 Last week, commenting on a possible military incursion of Venezuela by Brazil, Bolsonaro said that "no one wants to be at war with anyone." However, the politician’s son Eduardo Bolsonaro was caught on a video posted in social networks as he allegedly threatened to start a "peacekeeping operation" in the neighboring country. "Besides, there is the problem of a big number of refugees on the Brazilian-Venezuelan border. And it would be advantageous for the United States to drag Brazil into this standoff. The more conflicts exist here [in the Latin American region], the more beneficial this is for the US," Mielnichuk said. Lecturer at the Rio de Janeiro University Williams da Silva Goncalves also believes that after Bolsonaro takes office Brazil’s participation in a military operation in Venezuela cannot be ruled out. However, the Brazilian government is unlikely to take the lead of this operation. "But if an international coalition is set up like the one formed in 1965 for the incursion of the Dominican Republic, this is possible," the expert said, noting that this is not going to happen in the near future. On Sunday, Brazil held the runoff presidential election. With 99.91% of the ballots counted, Bolsonaro who represents the conservative Social Liberal Party, garnered 55.15% of the vote, while his rival, Fernando Haddad, the candidate from the leftist Workers’ Party, secured 44.85% of the vote. The new Brazilian president will be sworn in on January 1, 2019.